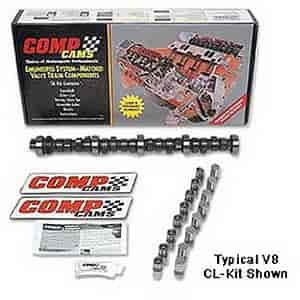 COMP Cams Magnum Muscle Hydraulic Flat Tappet Camshaft & Lifter Kit Pontiac 265-455ci 1955-81 Lift: .531"/.531"
Get the benefit of modern technology in a camshaft for your restored muscle car or factory high performance vehicle and retain that great original sound. Comp Cams grinds these cams using factory specs, to keep the performance of your car just as it was back then. Does COMP Cams CL51-314-4 fit your vehicle?